Glenaire is rich in farming history with some of the original buildings from a by gone era still visible in the original township area. The Aire River flows through this area and spills into a magnificent estuary one of the most significant in the South West. 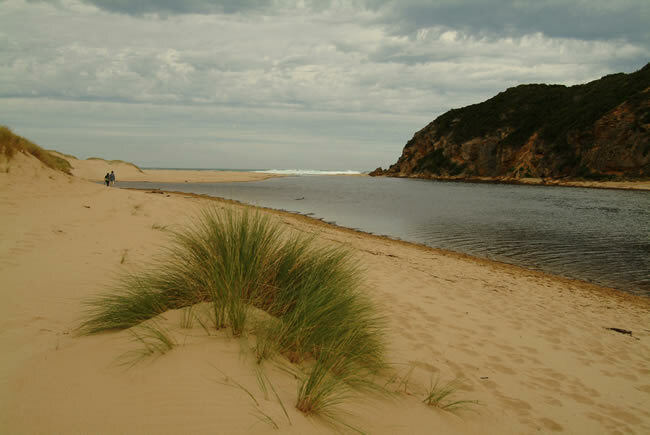 Popular for a surfing spot known as Castles Glenaire is also a rest stop on the now famous Great Ocean Walk. The sand road that leads to the mouth of the Aire has visible aboriginal midden sites visitors are asked to take care of the environment when driving through this road.